It is truly a special occasion when a magnificent setting is paired with a magnificent event. That’s the case, say organizers, for the 23rd annual Greenwich Concours d’Elegance, slated Saturday and Sunday, June 2-3, at Roger Sherman Baldwin Park on Greenwich Harbor. 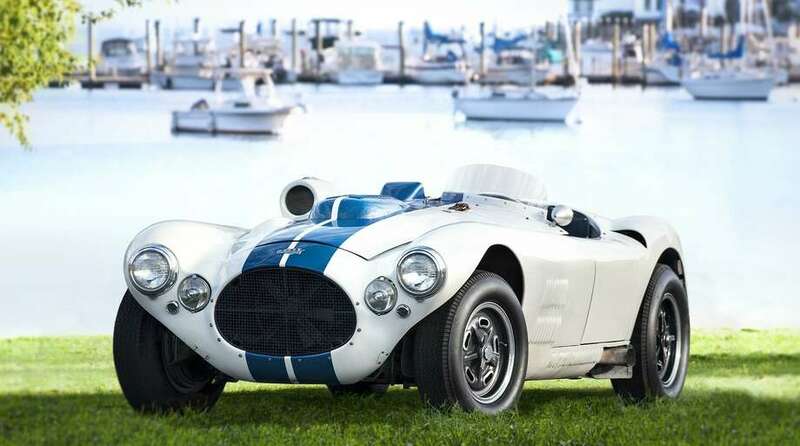 Billed as one of the most prestigious classic car shows in the United States, Concours 2018 will feature original Briggs Cunningham race and street cars from the 1950s, a collection of pre-World War II Jaguar SS vehicles, vintage competition motorcycles and in-water yachts. Organizers say the event “continues its tradition of holding two unique Concours (displays and competitions) back-to-back, with American cars and motorcycles on Saturday, and foreign marques on Sunday.” It runs rain or shine. “It not only raises a significant sum for Americares, a wonderful organization, it raises awareness of automotive history,” she said. The Cunningham project is being organized by “Barn Find Hunter” Tom Cotter and Cunningham collector and historian Charles Schoendorf. Lining the waterfront both days will be 33 of the remaining 35 Cunningham cars in the world, including the 1952 C-4R Le Mans roadster from the Simeone Foundation Automotive Museum in Philadelphia, and most of the 25 Vignale-bodied C-3 coupes and cabriolets, Wennerstrom pointed out. On Saturday, cars from one of Cunningham’s most notable race-car drivers, the late John Fitch, of Lime Rock, will also be on display. Sunday’s Concours will host a special display of Jaguars, with a focus on the rare pre-World War II SS cars, including the SS 100, SS 90, SS 1 Tourer and SS 1 Coupe. The weekend will also feature the presentation of “A Century of Competition Motorcycles” display by American Iron Magazine publisher Buzz Kanter, which will showcase race bikes of various styles from the early 1900s to the present. Other features will include a car auction on Sunday, automotive book signings, a collection of Shelby autos and a display of new model cars from Lexus, Cadillac and BMW (with test drives offered). Food and refreshments will be available for purchase throughout both days. Miles Collier, one of America’s premier car collectors and founder of The Revs Institute and automobile research library, will be the Grand Marshal for this year’s event, she added.